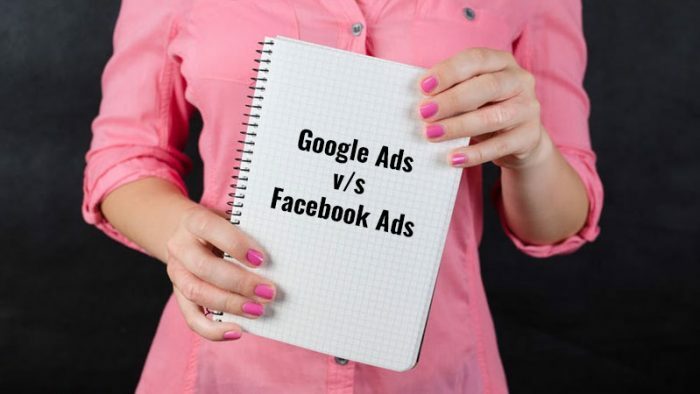 Vinayak Katkar, Co-Founder & Head of Strategy and Operations, Amura Marketing Technologies shares the core differences in Google Ads v/s Facebook Ads. The two digital ad giant in the world is Google and Facebook. According to eMarketer, they dominate the digital advertising with about 63 percent between the two of them in 2017. Although they are positioned as competitors, several businesses are investing in advertising in both the platform to attain maximum visibility, increase leads and sales, and map and target new customers. Customer Data and Targeting – In terms of targeting, Google has been innovating its product on the customer intent data. Google has access to search data that permits targeting based on micro-moments / purchase intents. This gives the unprecedented quantity of power to the advertiser. Google has been creating an effort to weave its search data with Youtube and other Google Display products. This allows it to contend with Facebook which relies on social interactions, visual elements, and first-party data. Facebook has been innovating its product around social signals and connections. Facebook uses user-ids to target people allowing it to utilize machine learning at its best without losing track of the users. It allows Facebook to try and do cross-platform and cross-device targeting. Ad Formats– Google has been using both push and pull marketing in terms of ad formats. Google permits rich-media ads which allow users to interact with the assistance of contextual targeting. Google recently introduced lead ads for the search to tackle Facebook Lead Ads. Facebook restricts creativeness by pre-defining the formats. Yet, at some level, this enables Facebook to take care of quality standards and user experience on Facebook. The main distinction between Facebook and Google is native advertising. Advertising on Facebook matches the form and content of the newsfeed posts. This results in higher CTR on Facebook with the better user experience. Google ad-formats are explicit advertising format except for Google Search Ads. Reach and User Base – One of the main advantages of using Google as an advertising platform is its immense reach. Google has been focusing on collecting intent-based data using Google maps, Gmail, search and other products. Facebook, on the other hand, has been heavily relying on Instagram and Facebook data. Localisation – Google supports this by allowing contextual targeting on its display network. Google and Facebook both have been supporting the localization by providing hyper-local targeting in conjunction with vernacular content. Though, Google has an edge in this as users consume content in vernacular languages on YouTube and other regional newspaper. This allows advertisers to do contextual and language targeting in a more precise manner. One can choose Facebook or Google ads basis the brief and objective provided by the client. It depends on several factors like content, target audience, potential reach, and objective. If the brand is keen on brand awareness then they can opt for Facebook ads and Google display ads. If you want to boost the sales immediately, Google search is the best platform. Vinayak is the Co-founder and Director at Amura. He looks after marketing strategy, operations and finance of the company.